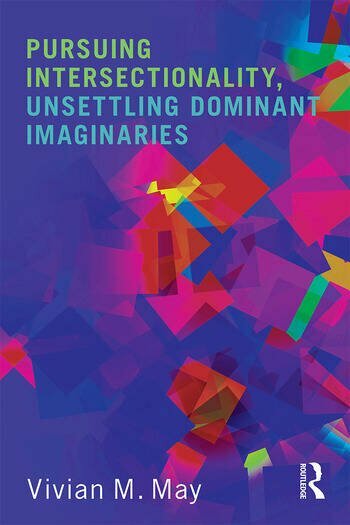 Pursuing Intersectionality, Unsettling Dominant Imaginaries offers a sustained, interdisciplinary exploration of intersectional ideas, histories, and practices that no other text does. Deftly synthesizing much of the existing literatures on intersectionality, one of the most significant theoretical and political precepts of our time, May invites us to confront a disconcerting problem: though intersectionality is widely known, acclaimed, and applied, it is often construed in ways that depoliticize, undercut, or even violate its most basic premises. May cogently demonstrates how intersectionality has been repeatedly resisted, misunderstood, and misapplied: provocatively, she shows the degree to which intersectionality is often undone or undermined by supporters and critics alike. A clarion call to engage intersectionality’s radical ideas, histories, and justice orientations more meaningfully, Pursuing Intersectionality answers the basic questions surrounding intersectionality, attends to its historical roots in Black feminist theory and politics, and offers insights and strategies from across the disciplines for bracketing dominant logics and for orienting toward intersectional dispositions and practices. Vivian M. May is Associate Professor and Chair of Women’s & Gender Studies at Syracuse University. She is author of Anna Julia Cooper, Visionary Black Feminist (Routledge, 2007), and of numerous articles and chapters focused on Black feminist intellectual history, feminist theory and literature, and theorizing Women’s Studies as a field. Recently, May was elected President of the National Women's Studies Association for a two-year term (2015 & 2016).